We just recently created a brand new website for divorce mediator and attorney Steven L. Abel as he begins to undertake a new business line, drafting qualified domestic relations orders or QDROs for mediators and other attorneys. Steve is a principal as well at the Center for Mediation & Training in New York, with whom we’ve worked for a number of years. Naturally it’s a WordPress website. We used the Divi theme from Elegant Themes for its flexibility and ease of use. The site is responsive (mobile device friendly) and easy to navigate. Steve opted to host his website with GoatCloud as well, which means that he receives a free HTTPS security certificate, so his site offers a secure browsing environment. In 2018, it’s a given that your site must be HTTPS. 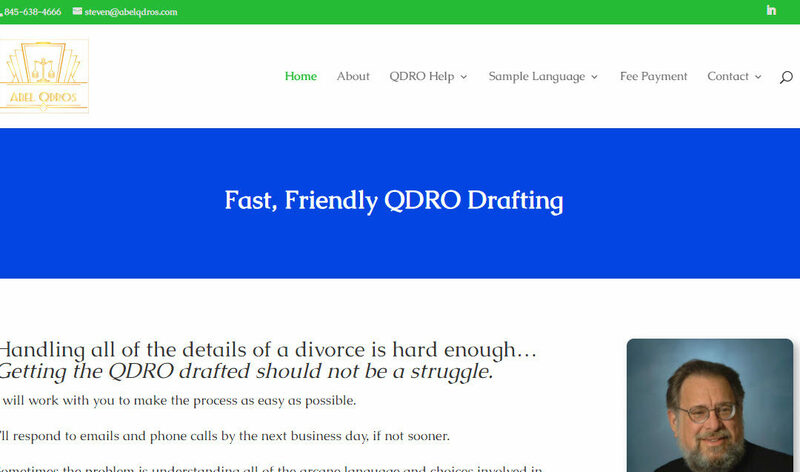 Check out Steve Abel’s new QDRO drafting website here.